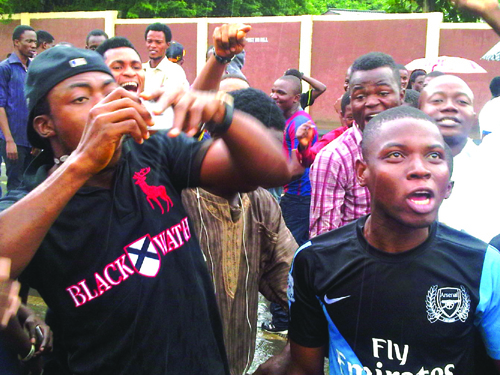 A Special Offences Mobile Court in Oshodi, Lagos, on Saturday remanded 13 students of the University of Lagos in Kirikiri Prisons pending their bail application. 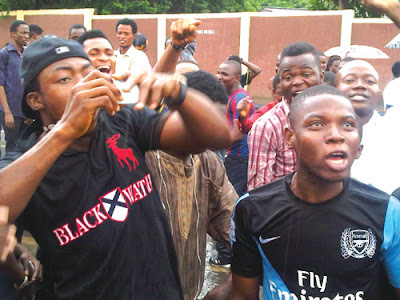 The police arraigned the students on a two-count charge of unlawful invasion and disruption of activities. The accused, standing trial before Chief Magistrate P.E Nwaka, are alleged to have engaged in unlawful invasion of TVC Television in Lagos. They all pleaded not guilty to the two-count charge. The magistrate, who ordered that the accused be remanded, adjourned the case till April 6, for a determination of their bail. The accused are: Femi Adeyeye, Toni Aina, Kodri Yaya, Asimi Oladime, Ismahim Olalekan, Segun Okesola, Abdulazeez Soneye, Idris Abogunloko, and Muyiwa Olaniyi. Others are: Toheed Oladimeji, Joseph Akanni, Lukumon Olusegun, and Abiodun Agbeniyi. The Police prosecuting counsel, CSP Effiong Asuquo, Officer in Charge of Legal Unit, State Criminal Investigation and Intelligence Department, Panti, had told the court that the accused committed the offence on March 31. He said that the accused engaged in a riotous invasion of TVC Television station, protesting an alleged rustication of a student. The prosecutor told the court that the invasion by the students was simply a ploy to stall the commencement of the institution’s semester examination scheduled to begin on April 3. He said that the offence contravened the provisions of section 168 (1) (d), and section 2 of the Criminal Law, Laws of Lagos State, 2015.